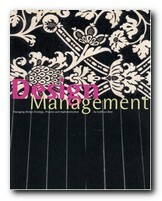 This new title from publishers AVA deals with the business aspects of design projects. I imagine the ideal readers would be students of design who were taking a serious interest in applying their theoretical skills to the practical demands of applying them in the world of commerce and manufacturing. The structure of the book follows that outlined in its sub-title – one section each on design strategy, then managing the design process, and finally design implementation. Each section is split into the knowledge required, a selection of case studies, and an outline of the skills needed for implementation. There is an underlying supposition that in addition to aesthetics, good design management will also take into account profitability, functionality, and even ecological issues. So it’s design with very much a practical business slant in mind. There’s an illustrated timeline of design which starts at 1759 with Josiah Wedgwood, then takes in most of the best-known names in design – from Peter Behrens, Moholy-Nagy, Raymond Loewy, Charles Eames, and Viktor Papanek, to the establishment of the design standards which have blossomed in the last ten years. Although design is approached in the text as if it were a science or even a branch of sociology, it’s quite clear that a lot of it is connected with marketing and publicity – though at least Kathryn Best admits this by discussing such issues as ‘audience’, ‘market’, and ‘product life cycle’. The case studies are interesting, well illustrated, and up to date – including for instance the Oyster smartcard for travel in London which eliminates the need for paper tickets, reduces queues, and keeps cash off the buses. She also has no problem illustrating all the positives of a company brand such as Apple with its iconic iPod (designed by UK’s Jonathan Ives). The extended analysis of real-world examples range from thermal imaging devices (heat cameras) to Camper shoes, and from ecological architecture to a new Honda motor scooter. There are also interviews with leading designers from companies such as Yahoo and the National Health Service. There’s a certain amount of idealisation in all this. Only projects launched by huge companies like AEG, Phillips, and Sony could afford such comprehensive planning of its developments. I’m sure that the majority of design projects have to make do with fewer staff and resources, and a shoestring budget compared with the methods being proposed here. However, there are plenty of flow diagrams showing the stages of these ideal procedures – so anybody can see the models of good practice and adapt them for their own circumstances. There are also guidance sections on team working and managing creative designers. These include non-hierarchical systems of working and, it would seem, working conditions and design studios straight from the pages of Architecture Today. The last section on project management in practice is closer to ‘management studies’ than to design. It reinforces the ideas mapped out recently by Chris Anderson in his influential essay The Long Tail – that manufacturers today are reducing their costs and increasing their performance by carrying the minimum of stock, delivering within hours instead of days or weeks, and responding instantly to the customer’s needs. If you were wondering why some shops in the clothing trade only stock what’s on display, that’s the reason why. It’s an amazingly thorough production. It even finishes with practical suggestions for communication skills, based on the notion that designers need to be able to write effective reports and good business letters. There’s a bibliography, a webliography, suggested design journals, and a glossary. 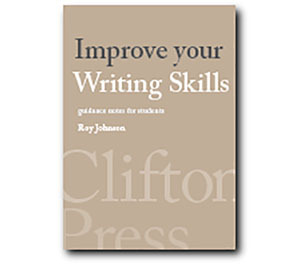 It’s also stylishly designed and produced, printed on thick matte paper stock with colour-coded pages, bound in an attractive paperback A4 format, and elegantly laid out throughout.